January 23, 2019 by Daniel Gardner, M.S. Gardner Audiology is fitting and selling the revolutionary Starkey Livio AI. Below is a must read article. 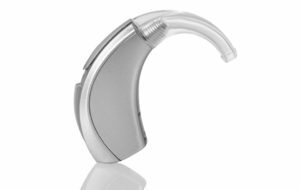 The Livio AI hearing aid from Starkey Hearing Technologies has received an update that adds fall detection, heart rate measurement, a new assistant built on Google Assistant, and other new features. The abilities put Livio AI hearing aids nearly on par with smartwatches and activity trackers, bringing advanced features and functionality not available on competing hearing aid products. Livio AI is, first and foremost, a hearing aid device. As we’ve previously explained, the inclusion of artificial intelligence has opened the door for functionality beyond what is available in traditional hearing aid products, including direct access to Amazon Alexa and activity tracking for use with Apple Health and Google Fit. Call Gardner Audiology at 1-800-277-1182 for more information.